Joining Task Force 64 for the invasion of the Okinawa Gunto area on March 25, 1945, USS West Virginia (BB-48) was assigned to fire support section one. West Virginia spent the ensuing days softening up Okinawa for the forthcoming American landings. At 1029 Hours on March 26, lookouts reported a gun flash from shore, followed by a splash in the water some 6,000 yards off the port bow. Firing her first salvoes of the operation, West Virginia let fly 28 rounds of 16- inch gunfire against the pugnacious Japanese batteries. The following day, the "Wee Vee," as her crew called her, fought against enemy air opposition, taking a Yokosuka P1Y Ginga (Galaxy) "Frances" bomber under fire at 0520. 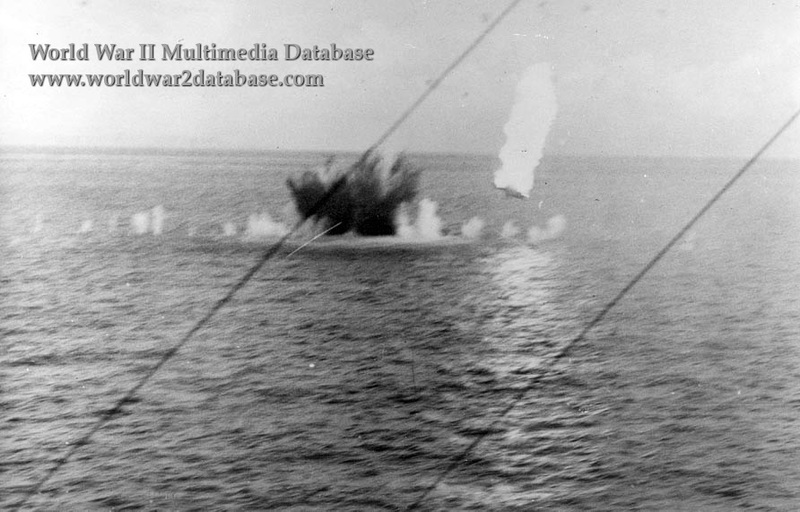 The twin-engined bomber crashed off the battleship's port quarter, the victim of West Virginia's anti-aircraft guns. Over the days that followed, enemy suicide attacks by Japanese planes continued. From the American landing on April 1 to May 25, seven major kamikaze attacks had been attempted, involving more than 1,500 planes. Almost a score of American ships were sunk, and twenty-five others damaged. The total strength of the Allied fleet at Okinawa was 1300 ships, including 40 carriers, 18 battleships, and 200 destroyers. The U.S. Navy sustained greater casualties in this operation than in any other battle of the war.